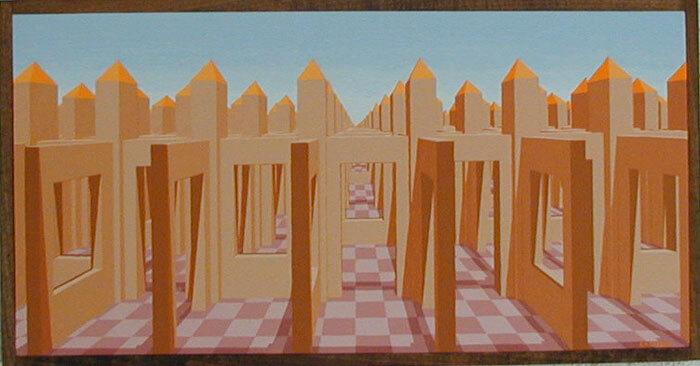 This is the first of a series of three related "maze" paintings. Once aagin I've returned to an old theme that was the basis of many of my earlier paintings. The conceit is that this is simply a slice of an infinite space of the same sort of structure, small square rooms, with some of the interconnecting walls having doors and some only having windows. All three of these paintings have the same pallete and structure.